Valentine’s Day is just around the corner, and what better time to show how much you love and care about that special someone. You might be getting nervous about now, deciding between roses, teddy bears, chocolates or fancy dinners. It’s hard to decide how to make the day just right. But relax and check out these awesome Valentine’s Day packages that will make the perfect date. The Irrawaddy rounded up some of the most romantic dinner spots for the occasion. 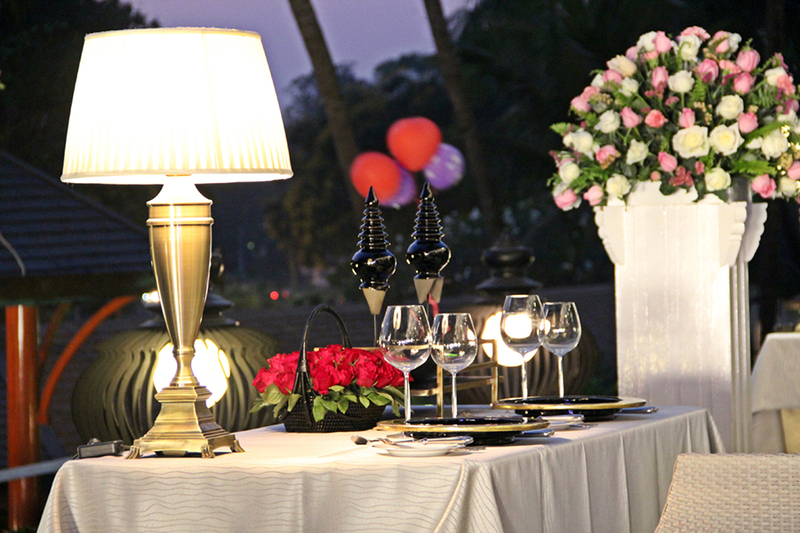 Chatrium Hotel Royal Lake is planning a special ‘Romance Under the Stars’ dinner event to celebrate the day. Valentine’s Set Dinner for one couple is US$120, which in addition to dinner includes a surprise door gift, a bottle of red, white or sparkling wine, a decorated table, a red rose and a Valentine’s Day cake. If you buy the package, you get entered into a drawing for a chance to win numerous prizes, including one night’s stay at the hotel, buffet dinner at The Emporia Restaurant, a spa session at Nemita Spa or a couple’s high tea set. This package dinner will be served in the lobby lounge or the outdoor sunset terrace outdoor dining area. 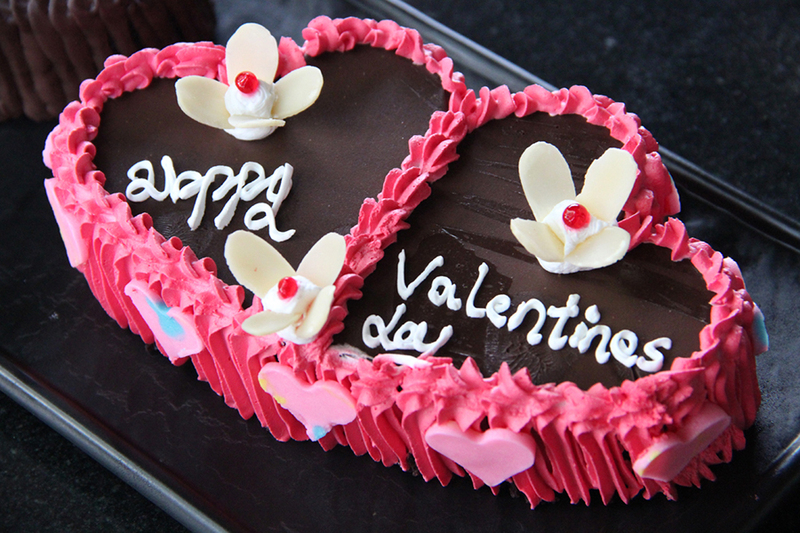 You can also order the “Be My Valentine” cake at The Lobby Lounge for $15. The new international luxury hotel Lotte will host the ‘Valentines Mixologist’ event at its poolside BBQ and bar. Prices start at $19 per person with free flow of selected cocktails including Cosmopolitans, Margaritas, the Dark Night and the Blue Kamikaze. That deal runs from 7 p.m. to 9 p.m. If you buy a bottle of whiskey, vodka, rum, gin or tequila, you’ll get complimentary snacks. You can make a reservation at 01 9351061. How about a fresh seafood buffet dinner for Valentine’s Day? A little different from your typical Valentine’s Day options, Novotel Yangon Max will hold a buffet dinner with fresh seafood including King crab, lobster and oysters for $39 per person with free flow drinks. It also includes a wide selection of desserts. Those with a sweet tooth will enjoy the pink chocolate fountain, pyramid of strawberries with toppings, Mille-feuilles and more. During dinner, there will be a live band playing your favorite love songs. 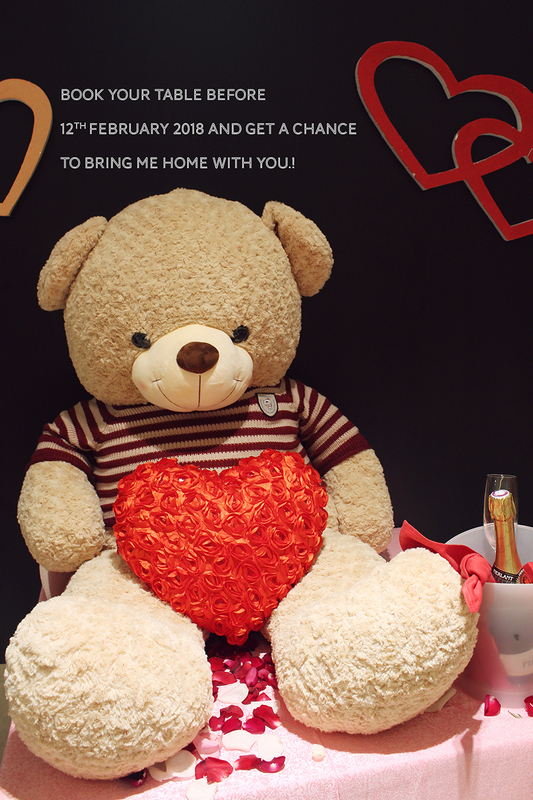 Dinner will be served at the 5th floor of the hotel and if you book before Feb. 12, you will receive a cute teddy bear as a Valentine’s gift. If you need more information, you can contact 01-2305858 or [email protected]. Here is another cool dinner package to celebrate the day. This five-course dinner for two and free flow of wine, beer and soft drinks, including a box of chocolates on the table and one dozen red roses is only $90 per couple. The Rose Garden is also offering another package that is a two day, one night stay in their romantic Bamboo executive suite with breakfast for two, a five-course dinner, a heart-shaped cake in the room and one dozen red roses for $210 per couple with late checkout. You can make a reservation at +95 1 371 992. We also want to suggest a romantic dinner with a stunning river backdrop. Yangon River Cruise will also provide a special Valentine’s dinner for couples from 30,000 kyats per person, which includes a buffet dinner, table decoration, live music, and fabulous view of the Yangon River. Reservations are available at 09953378900. That’s it for this writer’s suggestions for Valentine’s Day. Don’t worry about being expensive or fancy. The most important thing is spending time with your loved one.